Rue Morgue Records will be releasing an exclusive boutique seven inch single of one of Australia’s finest bands… Palace Of The King. The track ‘Get Right With Your Maker’ backed with ‘One Of These Days’ will be available for sale via the Rue Morgue Records website AND the Golden Robot Records site as well. We’re beyond stoked to be bringing you this release in association with Golden Robot Records and having said that, Rue Morgue Records is elated to be working with Tim and the boys as well! We promise this is going to be a fantastic release for all concerned. 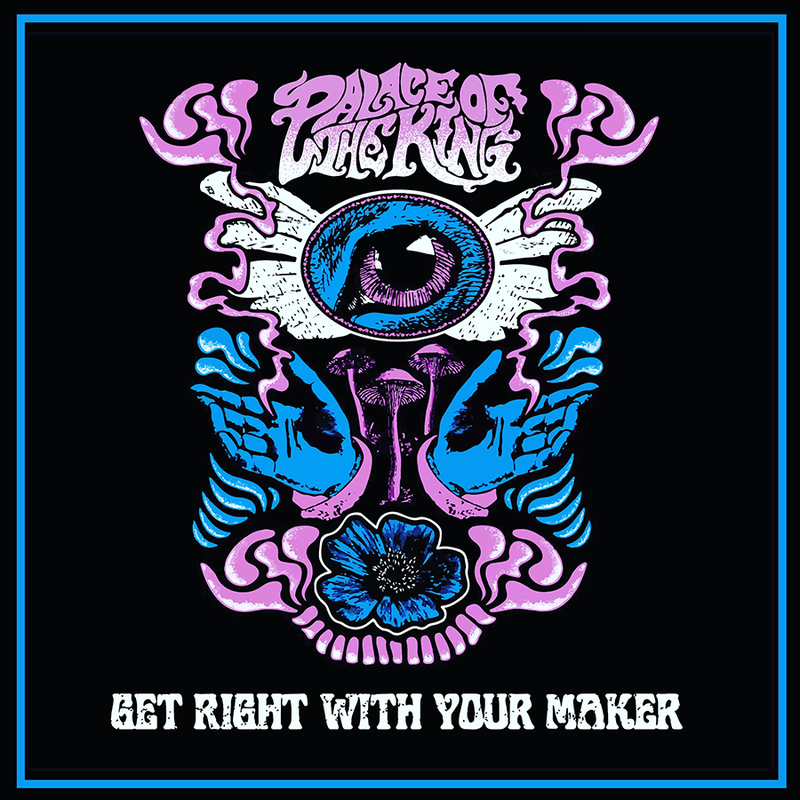 Palace Of The King – Get Right With Your Maker available soon at Rue Morgue Records and Golden Robot Records. Formed in late 2012, Palace Of The King – nameless at that point – quickly recorded a 3 track demo and developed the vision of a blues-in fused rock and roll band. Far from a grave-robbing retro trip, Palace Of The King has just as much in common with Rival Sons, Graveyard & JackWhite as they do Led Zeppelin, Black Sabbath & Deep Purple. Remember when bands released an album a year and toured ’til the wheels fell off the tour van? Having spent their formative years storming stages in every corner of Australia – alongside bands as varied as Airbourne and The Tea Party – and priming themselves for an international assault, Palace Of The King took their finely-honed live show through Europe in October 2015. Armed with 2 EPs, a full-length vinyl LP and a second full length studio album; this is a band that has earned their stripes and wear them with pride. “Palace Of The King is literally like a huge ground shaking Palace of RIFFS, SOUL and Rock’n’Roll.” comments Joel O’Keeffe, lead singer and guitarist of Airbourne. (Dedicated Rocker Society) qualities of their debut through an all- new 10 track collection of blues and psych-infused hard rock. Lead by the bruising gospel-tinged riffathon of ‘Let The Blood Run Free’, Valles Marineris is both eclectic and unrelenting right through to the final eerie piano fadeout of album closer ‘Into The Black’. It’s Been A Long Time Coming hits you in the face you know it. Palace of the King are set to release brand new music across 2019 through Golden Robot Records.